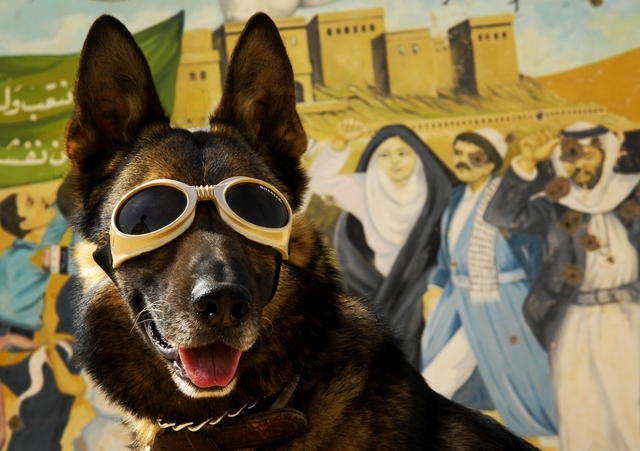 Did you know that dogs need eye protection from the sun just like we do? If dogs are in the sun for long periods of time, they have in increased chance of eye disease. 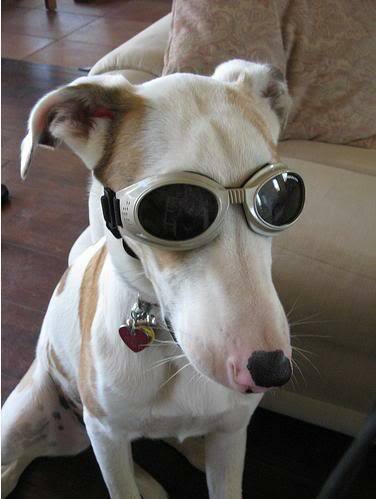 There's actually a company called Doggles that makes and sells dog sunglass goggles. 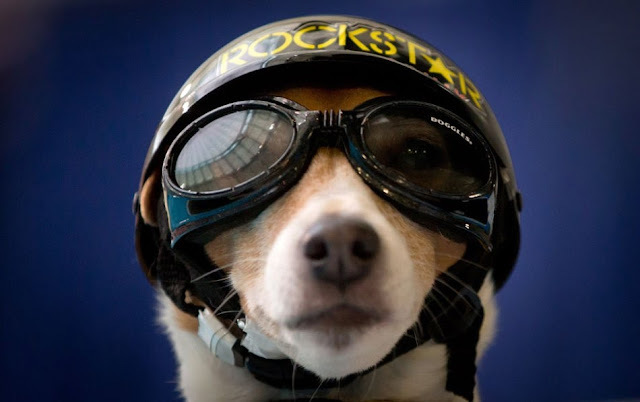 Doggles are modified sports goggles with a uv lense and protects them from wind, foreign objects and damaging UV light. And, the lenses are shatterproof. 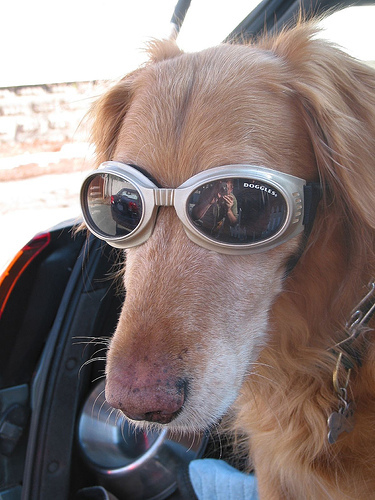 They are also a great idea to protect the eyes of dogs who ride in cars and hang out the window ... which so many of them love to do! I first came across goggles with our late Jack Russell, Bo Bo, when I took him for laser light treatment for his arthritis. 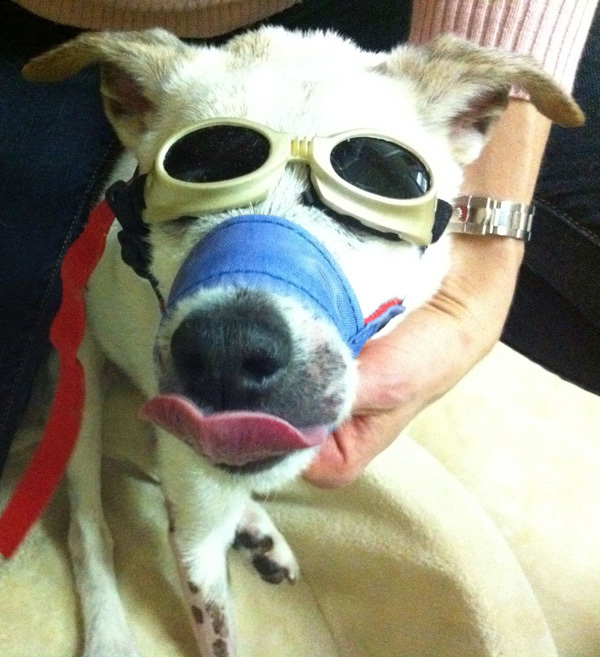 He had to wear goggles to protect him from the uv light of the laser. He squirmed when I first put them on him, but he got used to them quickly. And, it made for great pictures - our very own Red Baron! I was reminded of those treatments this past weekend when my dear friend Donna took her Spikey for light treatment and shared the great picture below. Image via: Donna Halpern - beloved Spike! A good reminder to protect our pups! Check out the Doggles website to learn more about this great product.